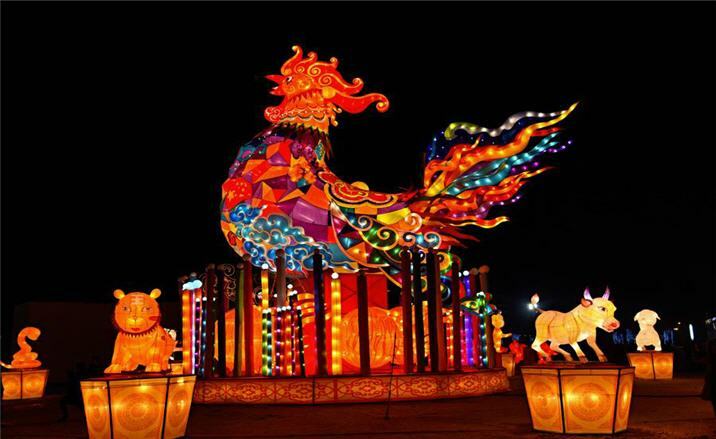 The Dingsheng Royal Lantern Fair has been welcoming visitors since it kicked off in Chengde, Hebei Province last month. This lantern festival is a traditional celebration to welcome Chinese New Year and will ends February, 18, 2017. Visitors can wander along the 1,200-meter-long street hung with interesting lanterns in various shapes and sizes on both sides. The fair consists of a lantern show, folk performances, demonstrations of traditional Chinese folk handicrafts and local dialects. Chengde, originally called Rehe, was once the summer resort capital of the Qing Dynasty (1644-1911). It holds many historic relics, such as the Mountain Resort and Eight Outer Temples which are listed as the world cultural heritage sites.